I purchased my first new home on June 21, 2010. This would not have been possible without the relentless and persistent work of Aziz Nawabi. From the first day that I contacted Mr. Nawabi, he has worked very hard to put me into the home of my dreams – A dream which has now been realized. He put me in contact with all of the right people (business associates who got me pre-approved for my home loan) and we did not waste any time before starting to look at properties. We actually began looking before I had a pre-approval. Aziz listened when I gave him a description of what I was looking for (in terms of the type of property, price and location)and presented me with a short, and straight forward, list of homes that he thought I would like. He was right with his selections because we only had to look at a few before I found the perfect condo. Once we found the right property, he worked countless hours to make sure that everything was being handled properly. He stayed in constant contact with me, my Loan Officer as well as the Seller’s Agent. Additionally, upon my request, he took me to see the property several times (even on the weekends) throughout the final approval process. Aziz was very professional and courteous the entire time. He helped make me as comfortable as possible during such a stressful time. Whenever a problem would present itself (e.g. an extension re closing was need), Aziz would know what to do and would take care of it. To the best of his abilities, he made sure that I got all of the things that I wanted out of the deal (e.g. a $450 check from the Seller to replace the broken dishwasher). I could rest assured because I knew that he was very knowledgeable, resourceful and very experienced. From start to finish (even after closing), I am very pleased that I chose Aziz as my Realtor. I would highly recommend Mr. Nawabi to anyone looking to purchase a home. It is with great privilege and pleasure that I would like to writ to you about the real estate agent Aziz Nawabi, who represented us in our recent purchase of a townhouse in Ashburn Virginia. Mr. Nawabi guided us through the entire process, from loan per-qualification to searching for houses to making the offer and closing the deal. 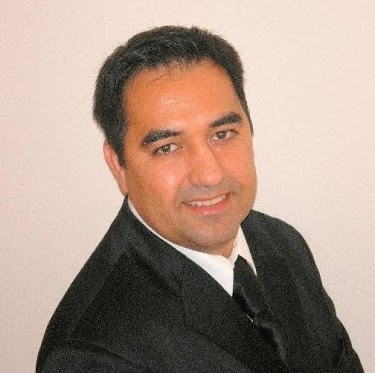 We credit Mr. Nawabi with a smooth, stress-free home buying experience. This is our second purchase of property, and never had we had such a pleasurable experience. Mr. Nawabi is savvy, personable and knows the market inside and out. We never could have gotten our dream home without him. To reiterate, we are nothing but pleased with Mr. Nawabi and his expertise, we have already recommended him for our family members and recommend him to everyone.